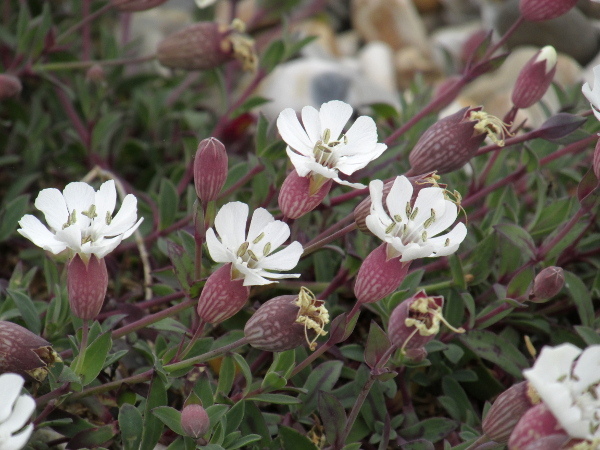 Silene uniflora grows in rocky coastal habitats, including shingle beaches. 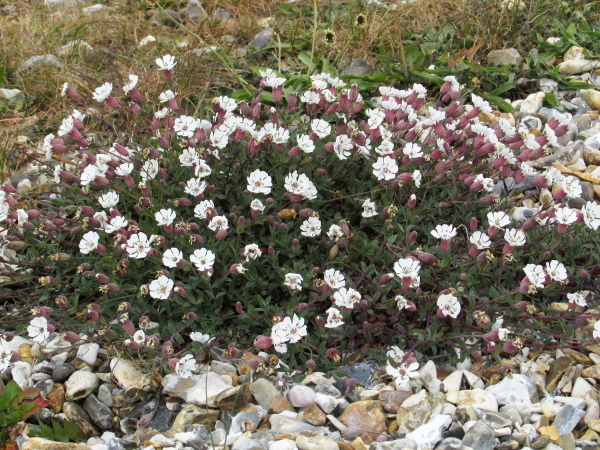 The calyx of Silene uniflora is inflated, but often wider at the apex than in its taller, inland relative, Silene vulgaris. 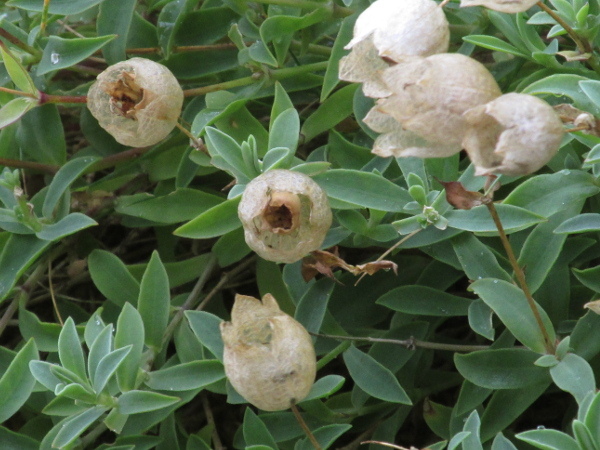 The fruit of Silene uniflora is a 5-toothed capsule, hidden within the dried calyx.